Maple Grove Fire Station #1 Expansion — OERTEL ARCHITECTS, LTD. 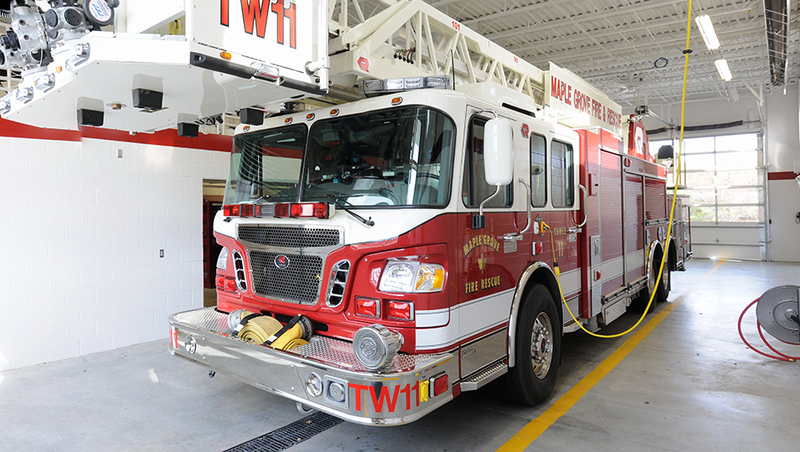 This project began as the result of the city of Maple Grove requiring an addition to one of their existing fire stations to house their new ladder truck. During the initial meetings with city staff it was determined that numerous renovations needed to be accomplished to the existing facility. Along with the renovations and the new drive-thru bay for the ladder truck, we added a fire house / training tower, a turn-out gear locker area, and an exercise area. The building addition was designed to blend seamlessly with the existing design, including the use of the same material palette. As a result of careful planning and coordination, the existing building remained operational during the entire construction process. The renovations to the existing building included: roof repairs, concrete repair, stucco repairs, mechanical and plumbing repairs and upgrades, electrical system repairs and upgrades, exterior paving repairs and upgrades, and some upgraded interior finishes.